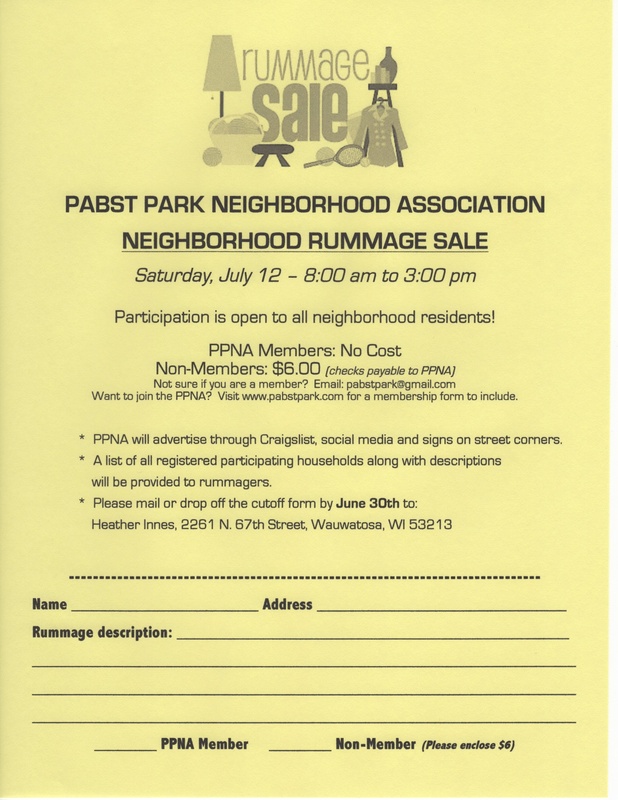 Pabst Park is hosting a neighborhood wide rummage on Saturday, July 12th from 8am-3pm. Look for participants from 60th to 68th Street between North Ave and Lloyd St. SHOPPERS / TREASURE SEEKERS: Stop by any participating household and a listing of participating households as well as their rummage descriptions will be provided! Preview the list, here, beginning July 10th. Residents: Here’s your chance to get rid of the clutter and sell all those items you just don’t quite need anymore! 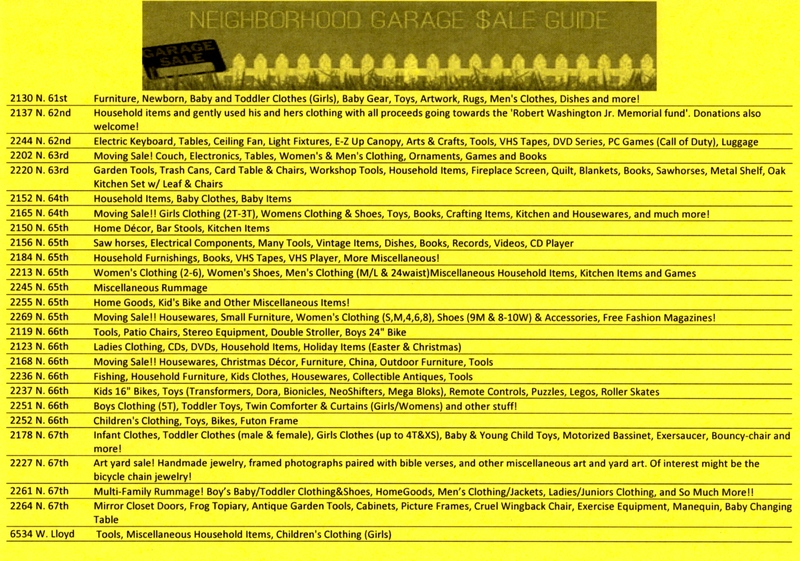 There will be a neighborhood wide rummage on Saturday, July 12th from 8am-3pm. 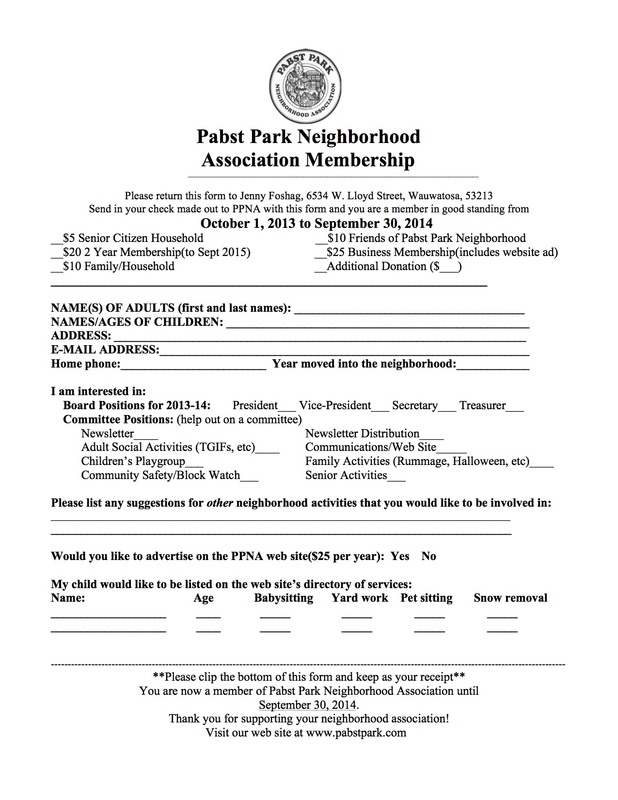 Participation is FREE to those who are already members of the PPNA. If you are not a current member, you can pay the non-member participation fee of $6 OR join the PPNA for the rest of this membership year for $10. Your membership will give you access to our eBlast newsletters and events we host through September 30th. Rummage flyers will be delivered to your home in the next week or print this flyer to participate. If you choose to join the PPNA, please also submit a membership form with your rummage form. Thanks so much to our 67th Street neighbor, Heather, for taking the lead on our Rummage Event! Here is our ad on Craigslist!